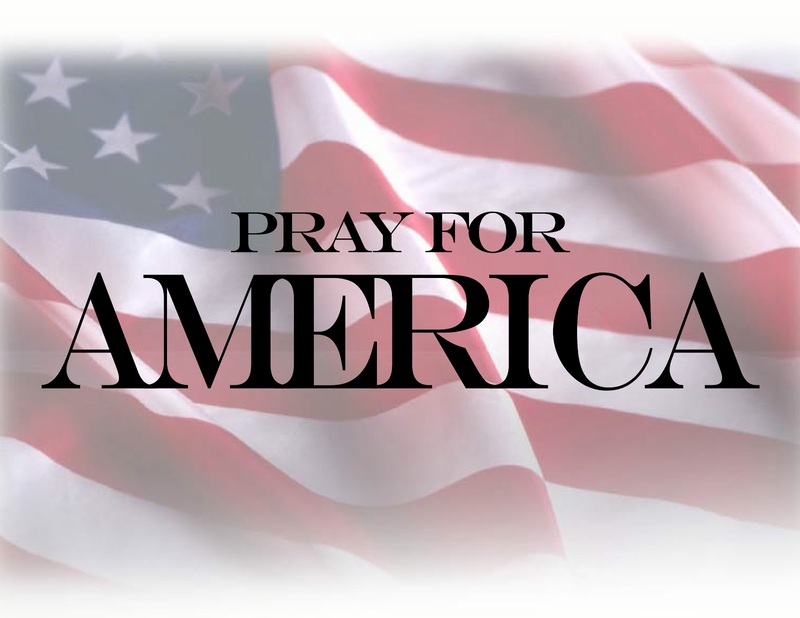 You guys know I ache over the Christians who are being persecuted around the world. I’ve written about Pastor Saeed (don’t forget about him!!) and Meriam Ibrahim (whose story ended well, thanks to so many of you praying and signing petitions). Now, there’s another tragic situation you need to know about. 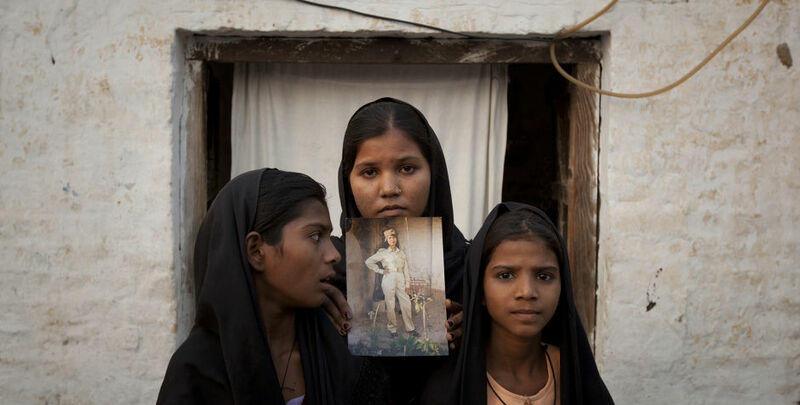 Asia Bibi is a Christian woman in Pakistan, and the mother of 5. They are the only Christian family in the village, and the neighbors don’t like it. In 2010, she was falsely accused of blaspheming the Prophet Muhammad and convicted. In Pakistan, the penalty for blasphemy is death – by hanging. She appealed, but just last week, the appeals court upheld the execution sentence. Now she’s appealing to the Supreme Court of Pakistan. In the meantime, she remains chained and locked in prison, with a price on her head. All because she won’t deny her Savior. 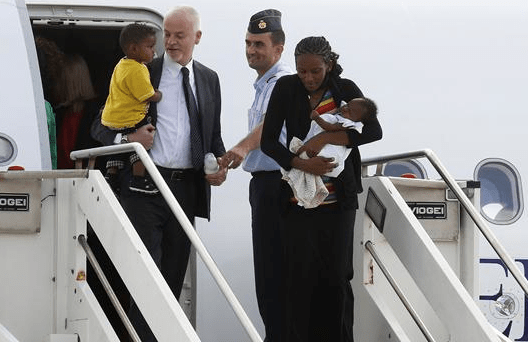 Prayer and international pressure freed Meriam Ibrahim – it can do the same for Asia Bibi. If we don’t do something, this innocent woman will hang, and her children will become orphans. Visit ACLJ and sign the petition to demand Asia Bibi’s release. But though I’m kept in a tiny, windowless cell, I want my voice and my anger to be heard. I want the whole world to know that I’m going to be hanged for helping my neighbor. I’m guilty of having shown someone sympathy. What did I do wrong? I drank water from a well belonging to Muslim women, using “their” cup, in the burning heat of the midday sun. That day, June 14, 2009, is imprinted on my memory. We’ve seen it in the case of Christian Pastor Youcef Nadarkhani who is now free from a death sentence in Iran for his Christian faith, and we saw it just a couple of months ago with another Christian mom freed from death row in Sudan. Meriam Ibrahim had been convicted and sentenced to death for her Christian faith, much like what Asia Bibi is now facing. Meriam is now free because of the international outcry of hundreds of thousands around the world. It’s time to raise our voices once again and #FreeBibi. 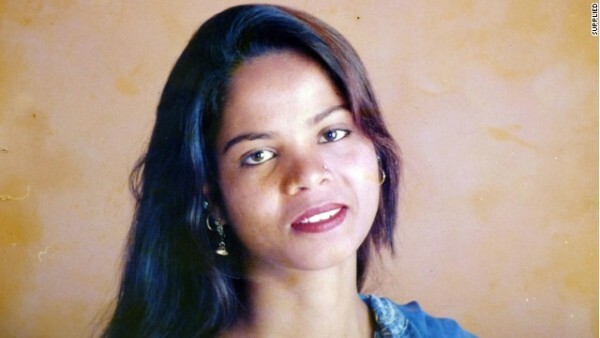 In just 24 hours, over 100,000 people have signed that ACLJ’s petition for Asia Bibi’s freedom at BeHeardProject.com. PLEASE SIGN THE ACLJ PETITION ON BEHALF OF ASIA BIBI HERE. Listen to ACLJ update here. 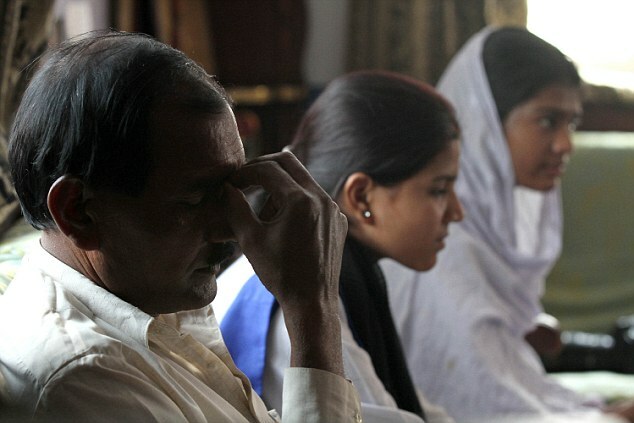 MailOnline interviewed Asia Bibi’s family, who described the hell they have been put through as well. Her oldest daughter, Esham Masih, who was nine years old when the family came under attack, told how she came back from school one day to find her mother being abused by a gang of men. ‘My friends told me that people were torturing my mother at the fields where she used to work,’ she said. Esham, now 14, ran back home to get her mother a new dress, but when she came back the gang had returned. ‘I still dream of the day she was tortured and arrested. I could not sleep properly. ‘The angry men came back and started torturing us both and tore down her clothes again. Asham said the gang called her offensive Punjabi terms that translate roughly ‘mother f*****’ and ‘sister f*****’. When she asked one of her attackers for water, they instead smashed the glass against the wall to torment her. ‘They dragged her to the centre of the village. We both were crying but there was nobody to listen to us. ‘After half an hour or so, the police came and my mother asked me to go and find my father, who was hiding at my uncle’s house. Ms Bibi’s husband, Ashiq Masih, said his other daughter, 15-year-old Esha who has special needs, had also been abused. ‘All those people who abused and tortured my wife knew me very well, but they did not respect anything,’ he told MailOnline at his house in a Christian district of Lahore. ‘They became so cruel. They even didn’t spare my daughters and tortured them. Bowing his head in shame, Mr Masih said: ‘I was so afraid that day. ‘I do not think it could have helped her or our family if I had tried to save her that day. Mr Masih, who used to work at brick kiln as a labourer in his village, said their lives have been destroyed. ‘I have restricted my movement. I am afraid of being recognised as Asia’s husband in public. In November 2010 Ms Bibi was sentenced to death by a lower court, becoming the first woman in Pakistan’s history to be given the death penalty for blasphemy. Over the past four years Ms Bibi has languished in the high-security District Jail Seikhupura, 22 miles north-west of Lahore, before being moved to a more remote prison. The shocking case hit global headlines after two prominent politicians who tried to help Ms Bibi were assassinated, one by his own bodyguard. Lawyers showered the killer with rose petals when he appeared in court and the judge who convicted him of murder had to flee the country. Ms Bibi’s lawyer, Naeem Shakir, said her accusers have contradicted themselves many times since first raising their complaint. Two witnesses allegedly involved in the incident did not appear in court, he said. A Muslim prayer leader did appear, saying he did not witness the original altercation, but that Ms Bibi had confessed to the supposed crime in front of him. Last week, despite international outrage and hundreds of thousands of people signing a petition for her release, Ms Bibi lost an appeal to have her sentence overturned, meaning she now faces death by hanging. The decision of the Lahore High Court has thrust the family back into public spotlight, placing their safety in jeopardy once again. ‘This is too dangerous for all of us’, said Mr Masih. ‘We have changed five residences during the last five years. The blasphemy accusation on my wife has ruined our family. Human rights groups say Pakistan’s blasphemy law is increasingly exploited by religious extremists as well as ordinary Pakistanis to settle personal scores. The law does not define blasphemy and evidence might not be reproduced in court for fear of committing a fresh offence. There are also no penalties for false accusations. Those accused are sometimes lynched on the spot. If they are arrested, police and the courts often allow trials to drag on for years, as in the case of Ms Bibi. The delays tend to be caused because officials are afraid of being physically attacked if they release anyone they feel had been wrongly accused of blasphemy. Only one person has been executed since Pakistan imposed a de facto moratorium on executions in 2008. This year has seen a record number of blasphemy cases as well as increasing violence against the accused. The family have struggled to look after Esha, who has difficulties with her speech and walking, after her mother’s arrest. Both sisters go to a private school being run by Joseph Nadeem, executive director Renaissance Education Foundation, a Christian educationist who has been helping the family since December 2010. ‘Esham is a brilliant student, but she goes through spells of depression regularly,’ said Mr Nadeem. Esham, who visits her mother once a month in prison, said: ‘It is tough living without her. I hope she would soon be released and would celebrate Christmas with us.